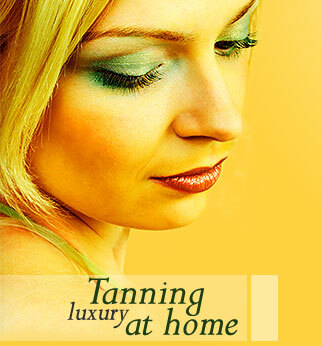 "Don't just hire a sunbed - treat yourself to a home tanning experience"
Make sure your sunbed is compact enough to be installed in your home - our units are delivered in panels ensuring that they can fit through a normal doorway and be carried upstairs before being easily and quickly assembled. Installation & delivery is at no extra cost. Ensure your sunbed has twin 10 minute safety timers - in accordance with EU regulations. Vertical sunbeds should include intergrated body breeze cooling fans - to make your tanning session more comfortable. The vertical sunbeds that we hire have been specifically designed for use at home and take up a similar amount of floor space as a shower cubicle. The units require approximately 1m square of floor space and are 184cm tall. Canopy beds have the following dimensions: Height 190cm Width 70cm and fold away for your convenience. Top and bottom sunbeds require the equivalent space of a single bed. The sunbed is delivered in panels ensuring that it will fit through a standard doorway and can be taken up a flight of stairs if required.